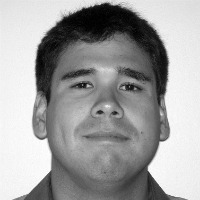 Oliver Rodriguez holds a Bachelor's degree in Percussion Performance from Michigan State University where he studied with Gwendolyn Burgett Thrasher and Jon Weber. This will be his 2nd year working with Bakersfield College. He most recently served as the Front Ensemble Coordinator/Arranger for NorthCoast Academy from Saginaw, MI. Furthermore, he works extensively with several high schools in the Oakland County area of Michigan including the 2010 MCBA Flight 1 State Champions Walled Lake Central High School. Oliver's drum corps experience includes being a member of The Cavaliers Drum & Bugle Corps Front Ensemble from 2006-2009. He recently served as the Front Ensemble Coordinator for The Madison Scouts Drum and Bugle Corps from 2010-2012.